Tabarca is a small impoverished island with a noble past, mixed with legends of Berber pirates, Tunisian sailors, Genovese prisoners, poor fishermen and Kings. It is the only inhabited island in the whole Valencian Community and only a few miles from the coast of Alicante, Valencia and Castellon. The population has never been more than one hundred and during the height of winter can be as few as thirty. Winter doesn’t really exist on Tabarca (the average temperature is 17C) but during the warmer months tourism does flourish. In these times the population multiplies, beach bars spring up on the beach, markets and flea markets offer products from the sea and the famous rice from the area. The rest of the year Tabarca is a stopping point for many types of travellers. The typical “dominguero” or Sunday excursionists from the surrounding area of Alicante or Santa Pola to those travelling from further a field. Tabarca is a small island measuring only 1.800 metres in length and just less than 400 metres wide, its volume increases during the summer months due to the daily arrival of boats from Alicante, Santa Pola, Campello or Benidorm bringing visitors looking for sunshine and peace on its shores. The name of the island originates from Tunisia. On the Tunisian coast was an island called Tabarka, inhabited by Genovese. The Tunisian king invaded the island and imprisoned all the inhabitants. The Spanish King Carlos III freed them and later in 1770 brought them to our island, which was originally known as Saint Paul. From that moment they called it the new Tabarca in memory of the Tunisian Tabarka. King Carlos III fortified the island building walls to stop the pirates operating in the area from using the island as their base for coastal raids. The original name of Saint Paul dates from a Christian tradition marking the place where the Apostle came ashore. 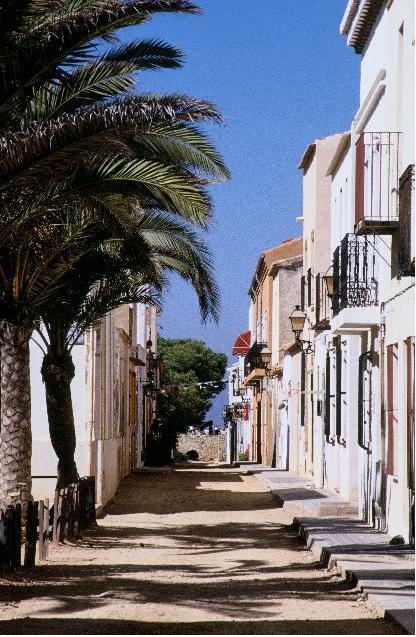 The proximity to the coast , only 3 miles from the cape of Santa Pola and 11 from Alicante mean that the journey is quick and easily done in a day, so you can fish or swim in the calm waters, visit the remains of the three century old walls or simply enjoy the local cuisine.